The Liga MX (Spanish pronunciation: [ˈliɣa ˈeme ˈekis]) is the top level of the Mexican football league system. Currently sponsored by BBVA through its Mexican subsidiary BBVA Bancomer, it is officially known as Liga BBVA Bancomer. Each season, the league holds two tournaments: the Apertura, which starts in the summer, and the Clausura, which starts in the winter. As of 2017, the league comprises 18 clubs, with one being relegated every year (two tournaments) based upon its league performances over the previous three years. The first 8 teams in the table at the end of the regular phase of the tournament qualify to the liguilla ("mini-league", or "playoff"). Up until July 2011, the league was divided into 3 groups. The group formatting was removed in favor of a single-table format. The league is considered the strongest in North America, and among the strongest in all of Latin America. According to the International Federation of Football History and Statistics, the league currently ranks 20th worldwide and was ranked as the 10th strongest league in the first decade of the 21st century (2001–2010). According to CONCACAF, the league – with an average attendance of 25,557 during the 2014–15 season – draws the largest crowds on average of any football league in the Americas and the third largest crowds of any professional sports league in North America, behind only the National Football League and Major League Baseball, and ahead of the Canadian Football League. It is also the fourth most attended football league in the world behind Germany's Bundesliga, England's Premier League and Spain's La Liga. Of the 56 teams to have competed in the league, América has won the title 13 times, followed by Guadalajara (12), Toluca (10), Cruz Azul (8), León and Pumas UNAM (7), and Pachuca, Tigres UANL, and Santos Laguna (6). The current league champions are América, who won the Apertura 2018 tournament. Prior to the Liga Mayor, there was no national football league in Mexico, and football competitions were held within relatively small geographical regions. The winners of the Primera Fuerza, a local league consisting of teams near and around Mexico City, was considered the national competition. There were other regional leagues such as the Liga Amateur de Veracruz, the Liga Occidental De Jalisco and the Liga del Bajío that also had notable clubs. Many club owners were not keen on the idea of establishing a professional league, despite paying players under the table. With the increasing demand for football, there was a sense of urgency to unite all the local amateur leagues in Mexico to progress as a football nation. The professional national league was finally established in 1943. When the Federación Mexicana de Fútbol Asociación (F.M.F.) announced the formation of the nation's first professional league, many clubs petitioned to join. The F.M.F. announced that 10 clubs would form the Liga Mayor (Major League). The league was founded by six clubs from the Primera Fuerza of Mexico City, two clubs from the Liga Occidental, and two from the Liga Veracruzana. Primera Fuerza: América, Asturias, Atlante, Necaxa, and Marte. Liga Occidental De Jalisco: Atlas and Guadalajara. Liga Amateur de Veracruz: ADO, Veracruz and Moctezuma. Throughout the late 1950s and early 1960s, many small clubs faced economic difficulties which were attributed to the lack of international competition by Mexico's clubs and an unrewarding league format. Like many South American and European clubs, Mexico's clubs that placed high in the league standings could not afford to participate in prestigious international tournaments, such as the Copa Libertadores. The 1970 World Cup held in Mexico was the first World Cup televised on a grand scale. The season following the FIFA World Cup, the F.M.F. changed the league format and established a playoff phase to determine the national champion. This was done to regenerate interest and reward teams that placed fairly high in the standings. The play-off, called the Liguilla, was played using various formats to determine the champion. The most common format was a straight knock-out between the top eight teams in the table. At other times the league was divided into groups with the top two in each group, often as well as the best 3rd placed teams, qualifying for the play-offs and in some seasons the play-offs themselves involved teams playing in groups with the group winners playing off for the title.. The format was changed from season to season to accommodate international club commitments and the schedule of the Mexico national team. The change in the rules affected teams that traditionally dominated the table, as talented teams that had not performed well in the regular season were able to perform successfully in the play-offs (Cruz Azul in the 1970s, América in the 1980s, and Toluca in the 2000s). 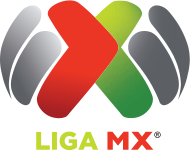 Prior to the start of the 2012–13 season, the organization LIGA MX / ASCENSO MX was created to replace the Mexican Football Federation as the organizing body of the competition. The league also announced a rebranding, with the introduction of a new logo. On 20 August 2018, it was announced that the Liga MX would begin testing the use of video assistant referee technology. The initial test run will be conducted during under-20 matches played inside senior league stadiums, with live testing across senior Liga MX matches to take place during weeks 13 and 14 of the Apertura tournament. The league will, however, still need final approval from FIFA to fully implement the technology. Liga MX uses a single table of 18 teams that play two annual tournaments resulting in two champions per season. The season opens with the apertura tournament (opening tournament- running from July to December) followed by the clausura (closing - running from January to May). This format matches other Latin American schedules and correspond with FIFA's world footballing calendar, which "opens" in July/August and "closes" in April/May of the next year. The top eight teams progress to the liguilla for each tournament. If one of those teams is in last place in the league's relegation table (see below), that team is replaced by the team that finished ninth in the tournament. From 1996 to 2002, the league followed a two-tournament schedule with invierno (winter) and verano (summer) tournaments but from 2002 to 2011 the 18 teams were divided into three groups of six with the top two teams from each group and the two best third place teams qualified for the liguilla. The teams played in the same group for each tournament. The qualification phase of the tournament lasted 17 weeks, with all teams playing each other once per tournament in a home and away series over both tournaments. The liguilla (Spanish for "little league") is the play-off phase of the tournament. This phase starts with eight qualifying teams playing two-legged ties with the winner on aggregate-score progressing. The Champion team is awarded the First division trophy, and the runner up is awarded a smaller version of the trophy. The birth of La liguilla in 1970 modernized the league despite the disagreements between the traditionalists and the modernists. Clubs that were near bankruptcy were now better able to compete and generate profits. At the end of a season, after the Apertura and Clausura tournaments, one team is relegated to the next lower division, Ascenso MX, and one team from that division is promoted and takes the place left open by the relegated team. Currently, the relegated team is determined by computing the points-per-game-played ratio for each team, considering all the games played by the team during the last three seasons (six tournaments). The team with the lowest ratio is relegated; if the team that is in last place in relegation table is among the eight teams qualifying for the Liguilla at the end of a tournament, the ninth-place team qualifies for the Liguilla instead. For teams recently promoted, only the games played since their promotion are considered (two or four tournaments). The team promoted from Ascenso MX is the winner of a two-leg match between the champions of the Apertura and Clausura tournaments of that division. If a team becomes the champion in both tournaments, it is automatically promoted. Prior to the start of the 2017–18 season, the rules for relegation and promotion changed: if a team wins promotion but does not meet certain Liga MX requirements (e.g. stadium infrastructure and a youth team) the relegated Liga MX team of that season will be obligated to pay the prize money to the Ascenso MX team (MXN$120 million) for winning the promotion playoff, which should be utilized to fulfill necessary requirements for promotion within the next season, and remain in Ascenso MX, and the relegated Liga MX team will remain in first division. If, however, the relegated Liga MX team cannot distribute the prize money to the promoted Ascenso MX team, both teams will lose their right to play in Liga MX and must play in Ascenso MX the following season. As of the 2018–19 season, only six teams meet full requirements to be promoted to the Liga MX, those teams being Atlético San Luis, Atlante, Celaya, Juárez, Sinaloa, and UdeG. If the same two teams qualify for the finals of both tournaments, those two teams will qualify along with the non-finalists with the best record in both the Apertura and Clausura. If the same team wins both the Apertura and the Clausura (facing two different teams in the finals of each tournament), then the berth reserved for the Clausura champions is passed to the Clausura runners-up and the berth reserved for the Clausura runners-up is passed to the non-finalists with best record in the Clausura. This occurred most recently in the 2013–14 season (2014–15 CONCACAF Champions League) when León (2013 Apertura and 2014 Clausura champions) and Pachuca (2014 Clausura runners-up) were placed in Pot A, while América (2013 Apertura runners-up) and Cruz Azul (non-finalists with the best record in the 2014 Clausura) were placed in Pot B (at the time, the champions and runners-up were placed in different pots). If the Apertura runners-up win the Clausura (facing two different teams in the finals of each tournament), then the berth reserved for the Apertura runners-up is passed to the non-finalists with best record in the Apertura. This occurred most recently in the 2011–12 season (2012–13 CONCACAF Champions League) when UANL (2011 Apertura champions) and Santos Laguna (2011 Apertura runners-up and 2012 Clausura champions) were placed in Pot A, while Guadalajara (non-finalists with the best record in the 2011 Apertura) and Monterrey (2012 Clausura runners-up) were placed in Pot B (again, at the time, the champions and runners-up were placed in different pots). If the Apertura champions are runners-up of the Clausura (facing two different teams in the finals of each tournament), then the berth reserved for the Clausura runners-up is passed to the non-finalists with best record in the Clausura. This has not happened since Liga MX began using this qualification procedure. The following 18 clubs will compete in the Liga MX during the 2018–19 season. In theory, all First Division clubs have the right to sell their own broadcast rights. In practice, however, the league is divided between teams broadcast on Televisa, TV Azteca, Imagen Televisión, Claro Sports, Fox Sports, and ESPN in México. ESPN Deportes, Fox Deportes, and Univision have the rights in the United States, with FS1/FS2 airing select matches with English commentary. In previous years, when a team was relegated, the team that was promoted could only negotiate with the company holding the television rights of the relegated team. This agreement was canceled by Liga MX in 2012 when the promotion of Club León caused a television rights dispute with Televisa. Currently, Club León matches are broadcast in Mexico by Fox Sports and other online media sites, and in the United States by Univision (Telemundo from 2013–16). Telelatino and Fox Sports World hold broadcasting rights in Canada; Fox Sports is the only network that holds rights to broadcast selected matches in United States and South America. Additionally, Televisa-owned networks Sky Sports and TDN hold exclusive broadcasting rights over selected matches throughout the regular season, although the majority of the most important ones are broadcast live on the national networks. Most of the Saturday afternoon and evening matches broadcast by Televisa are shown primarily on Gala TV, though Saturday games played by Televisa's club America, are broadcast on Televisa's flagship network, Canal de las Estrellas. However, a blackout policy is usually applied in selected markets where affiliates are forced to air alternate programming during the matches, Sunday noon and afternoon games broadcast by Televisa are shown on Canal de las Estrellas. All of the games broadcast by TV Azteca on Saturday and Sunday are shown on Azteca 13; Friday's matches however are shown on Azteca 7. Tuesday, Wednesday and Thursday (known in Mexico as Fecha Doble or Double Date) matches picked by the national networks are shown on Canal 5 and Azteca 7 and the rest of the matches air on Sky Sports and TDN. A recent rule, in effect since 2011, requires teams to play the final game of every season on Sunday during prime time, regardless of whether the team used to play local games in another timeslot, in order to capture more television audience during the game. For the Apertura 2016, and the majority of the Clausura 2017, Guadalajara home matches in Mexico were not shown on over-the-air television or cable and satellite operators. Instead, they were exclusively shown on an internet streaming service called Chivas TV. As of April 8, 2017, the matches are shown on both Televisa's Televisa Deportes Network (TDN) and Chivas TV. On February 13, 2017, it was announced Univision Deportes would live stream 46 games in English on Facebook in the United States. After the Clausura 2017 season, Azteca América sold the rights of the Atlas, Morelia, Tijuana, and Veracruz matches to Univision. The network then held the rights of 17 of the 18 clubs, only missing recently promoted Lobos BUAP. In September 2017, Univision began airing Lobos BUAP's home matches, thus holding the rights to all 18 Liga MX teams through the end of the Clausura 2018 season. In July 2017, Televisión Nacional de Chile (TVN) announced it would show Liga MX matches involving Chilean players in Chile. In October 2017, Fox Sports announced that it acquired the long-term exclusive Spanish-language rights to Tijuana and Santos Laguna home matches in the United States, Mexico, and the rest of Latin America starting in the Apertura 2018 and Apertura 2019 respectively, thus ending Univision's monopoly. The matches air on Fox Deportes in the United States and Fox Sports Latin America in Mexico and the rest of Latin America. On May 26, 2018, Fox Sports announced it acquired the rights of C.F. Monterrey's home matches in the United States and Latin America. The network announced the matches would be shown in the United States on Fox Deportes in Spanish as well as the Fox Sports family of networks in English. As of the Clausura 2019 season, ESPN Deportes airs select América, Cruz Azul, León, Necaxa, Pachuca, Querétaro, Toluca, UANL, and UNAM regular season home matches. ^ For the Apertura 2016 and the majority of the Clausura 2017, Guadalajara home matches in Mexico were not shown on over-the-air television or cable and satellite operators, instead they exclusively were shown on an internet streaming service called Chivas TV. As of April 8, 2017, the matches are shown on both Televisa's Televisa Deportes Network (TDN) and Chivas TV. ^ Matches are shown on Fox Deportes in Spanish as well as FS1 and FS2 in English. Matches are also shown on Fox Sports Arizona, Fox Sports San Diego, and Fox Sports West/Prime Ticket. ^ All match times are UTC−06:00 except for matches in Tijuana (UTC−08:00). BBVA Bancomer was named the league's official sponsor in 2013. Up until its rebranding in 2012, the Liga MX did not have a title sponsor. In July 2013, league president Decio de María announced BBVA Bancomer as the official sponsor, with the goal of modernizing the league's image. De María also stated that the money generated from the sponsorship would be divided among the 18 clubs and to be invested in each club's youth teams. On 18 September 2015, the sponsorship deal was extended until 2019. Since 1986, Voit has been the official match ball manufacturer. In 2014, the contract was extended for four years. Italics denotes players still playing professional football. Bold denotes players still playing in the Liga MX. Up to present days, five clubs have retired numbers in honour of their most notable players and even the fans. ^ a b c d Posthumously retired. 1976–77: Tampico Madero bought San Luis's spot in first division. 1977–78: Deportivo Neza bought San Isidro Laguna and took its spot. 1981–82: Tampico Madero bought Atletas Campesinos and took over its spot. 1983–84: Ángeles de Puebla bought Oaxtepec and took over its spot. 1988–89: Tiburones Rojos de Veracruz bought Potros Neza and took over its spot. 1992–93: U.T. Neza changes its name to Toros Neza. 1996–97: UANL gained automatic promotion as they won both tournaments. 1998–99: Puebla bought Unión de Curtidores and took over its spot. 2009–10: Necaxa gained automatic promotion as they won both tournaments. 2012–13: Chiapas relocated to Querétaro rebranding to Querétaro. 2012–13: Tiburones Rojos de Veracruz bought Reboceros de La Piedad's spot in first division. 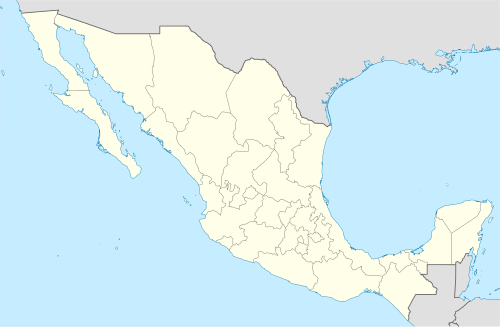 2017–18: Tapachula won promotion to Liga MX, but were not certified to be promoted to Liga MX. ^ "BBVA entra a la Liga MX". Expansión (in Spanish). CNN Expansión. 15 June 2013. Retrieved 29 June 2013. ^ "Liga MX pierde y cae del lugar 11 al 20 a nivel mundial, según IFFHS". IFFHS. International Federation of Football History and Statistics. 16 January 2018. Retrieved 6 September 2018. ^ "The strongest Leagues in the World in the first Decade of 21st Century (2001-2010)". IFFHS. Retrieved 2013-06-29. ^ "A quick primer on Mexico's Liga MX". Media Life Magazine. Retrieved 28 January 2016. ^ "Best attended domestic sports leagues in the world". sportingintelligence. Retrieved 2017-06-19. ^ "Historia del futbol en México". Femexfut. Retrieved 2009-07-29. ^ "Corporativo" (in Spanish). Liga MX. Archived from the original on 19 March 2016. ^ "Liga MX to run VAR test at U-20 games, senior games starting Week 13". SBNation. Retrieved 20 August 2018. ^ "Liga MX tendrá VAR en jornadas 13 y 14 del Apertura 2018" [Liga MX will have VAR during weeks 13 and 14 of the Apertura 2018]. La Afición (in Spanish). Milenio. Retrieved 20 August 2018. ^ "Ascenso Bancomer MX Informa". www.ascensomx.net (in Spanish). 20 July 2017. Retrieved 2 August 2017. ^ "Reglamento de Competencia 2017-18" [Competition Regulation 2017-18] (PDF). ascensomx.net (in Spanish). Ascenso MX. Retrieved 29 July 2017. ^ "Seis equipos, con derecho al Ascenso" [Six teams, entitled to promotion] (in Spanish). 21 July 2017. Retrieved 2 August 2017. ^ "América, Monterrey y Chivas podrían ir a la ConcaChampions sin llegar a la final". vavel.com. 5 March 2012. Archived from the original on 4 May 2012. ^ "La capacidad de espectadores que tendrá el Azteca después de ser remodelado". 90min.com. ^ "Estadio Jalisco". atlasfc.com.mx. Retrieved 21 May 2016. ^ LIGA MX / ASCENSO MX. "LIGA MX - Página Oficial de la Liga del Fútbol Profesional en México . : Bienvenido". ligamx.net. Retrieved 21 May 2016. ^ "Historia". estadiobbvabancomer.com. Retrieved 21 May 2016. ^ Click It - http://www.clickit.com.mx. "Monarcas Morelia". Sitio Oficial de Monarcas Morelia. Retrieved 21 May 2016. ^ Click It - clubnecaxa.mx. "Estadio Victoria". ^ "Tuzos » ESTADIO HIDALGO". tuzos.com.mx. Archived from the original on 2016-05-29. Retrieved 21 May 2016. ^ pueblaonline.com.mx. "Los estadios de la Liga Bancomer". ^ "ESTADIO CORONA". clubsantos.mx. Retrieved 21 May 2016. ^ "Estrenará "Caliente" capacidad el viernes". el-mexicano.com.mx. ^ LIGA MX / ASCENSO MX. "Estrenará "Caliente" capacidad el viernes". ligamx.net. Retrieved 21 May 2016. ^ "Estadio Universitario". tigres.com.mx. Retrieved 21 May 2016. ^ "Estadio Olímpico Universitario". pumas.mx. Archived from the original on 12 May 2016. Retrieved 21 May 2016. ^ "Carlos Slim And Multi-Ownership In Mexico". businessofsoccer.com. Retrieved 10 November 2013. ^ "Fox Sports adquiere los derechos de transmisión del Club Mexicano León F.C." Revista Merca2.0. Retrieved 21 May 2016. ^ Mark Reynolds (March 3, 2013). "ESPN to Kick Off Select Liga MX Matches in English". Boston Herald. ^ "La Liga MX consiguió patrocinador". Fox Deportes (in Spanish). Retrieved 15 July 2013. ^ "Bancomer renueva patrocinio con la Liga MX" (in Spanish). Noticias MVS. Retrieved 18 September 2015. ^ "Renueva Voit patrocinio con Liga MX". Radio Fórmula. Grupo Fórmula. Archived from the original on 18 August 2016. Retrieved 6 January 2014.